Built for work with a comfortable and compact-feeling chassis, the Kodiak 700 has redefined the mid-size utility ATV category. 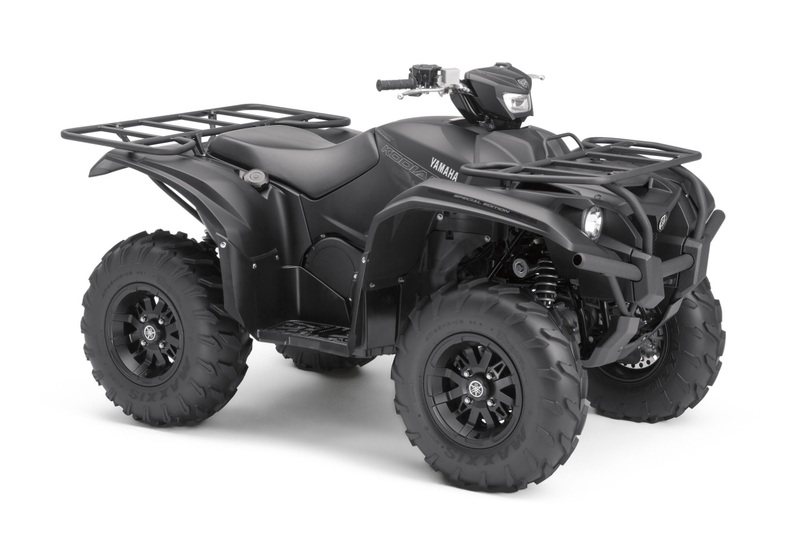 Smooth power and torque create the foundation for a range of features that all combine to make the Kodiak 700 ATV the most powerful in its category, while maintaining Yamaha’s legendary durability and off-road performance. In addition to Midnight Blue Metallic, the Kodiak 700 SE is now available in Tactical Black for 2017. The Kodiak 700 SE models come equipped with additional features including cast aluminum wheels, durable painted bodywork, electric power steering (EPS) and Yamaha’s legendary On-Command® four-wheel drive system that puts the rider in control of 2WD, 4WD or 4WD full-differential lock at the push of a button. MSRP for the Kodiak 700 SE starts at $8,999, with the non-EPS Kodiak 700s starting at only $6,999. See your local Yamaha dealer for more information and follow Yamaha at www.facebook.com/yamahamotorusa, www.twitter.com/yamahamotorusa and www.instagram.com/yamahamotorusa.